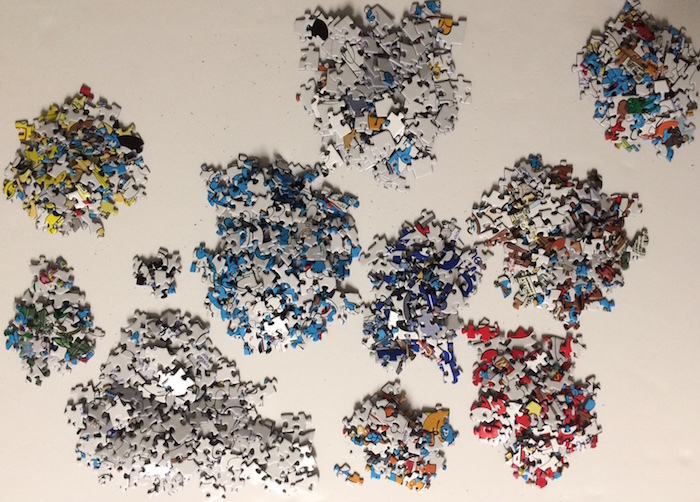 Watch the following 2 minute video for close up images. 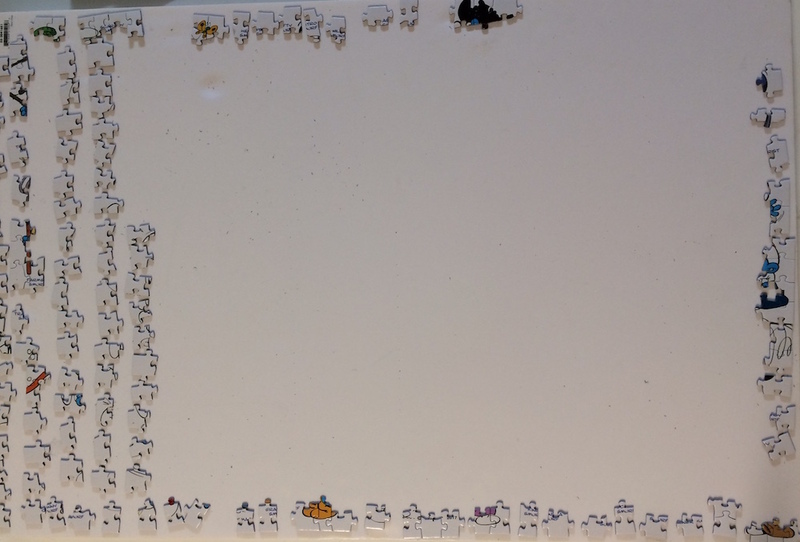 The border was not to be completed at the beginning this time due to the extra amount of whites - it would have to wait till the end. 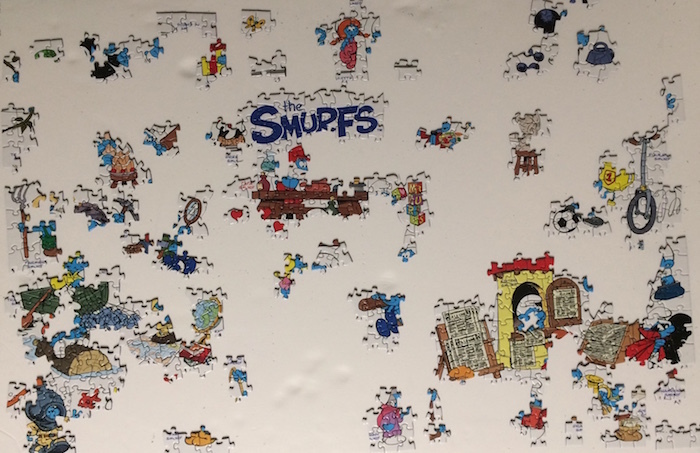 Instead, I started with Papa Smurf, the 'Smurf' Sign, the news-stand and the red/white 'housing'. 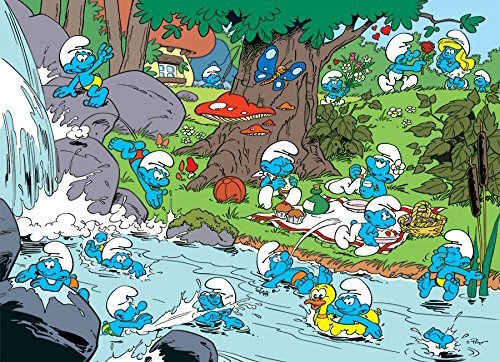 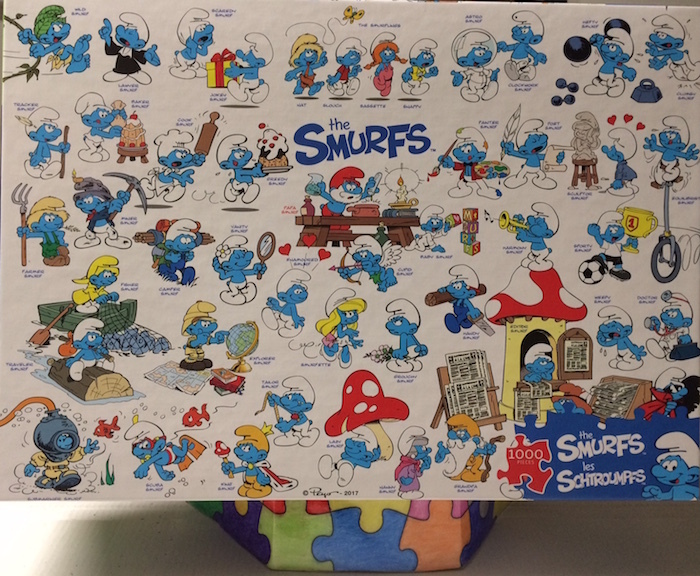 I then decided to organize the Smurfs according to colors and eventually got to the text or names of the Smurfs. 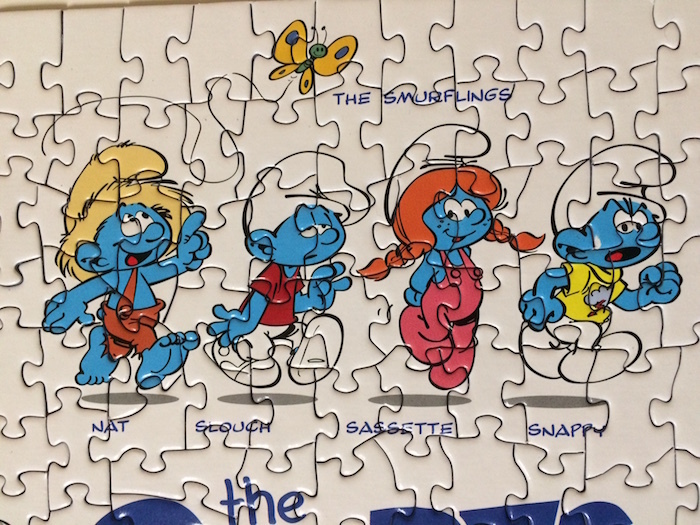 .... the Artist's signature at the bottom was in a different position and the block image on the bottom right covered the corner area. 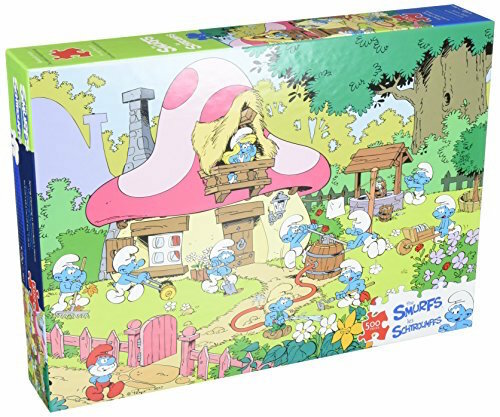 I seen a smaller image on the back of the box but I had to use the magnifying glass to see the image...still, small deterrents that need a mention. 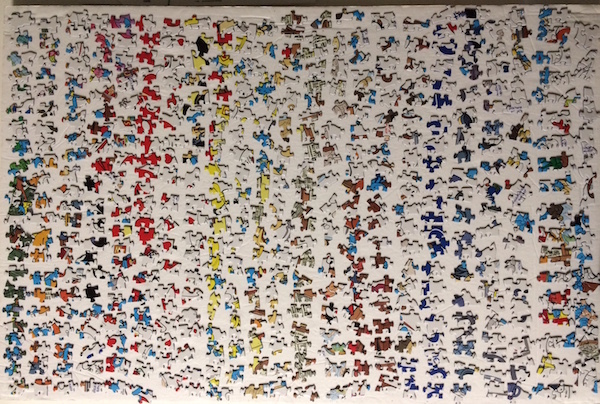 I love the way this one looks when completed. 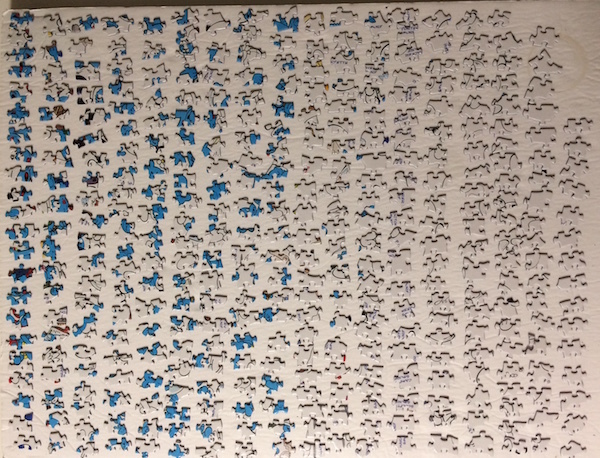 It's clean, organized and colorful. 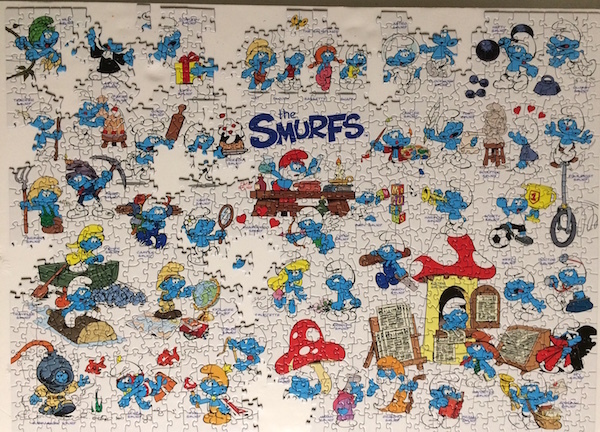 It may have added some extra tricky areas with the white edges and white/blue pieces, but it was not enough to discourage the experience. 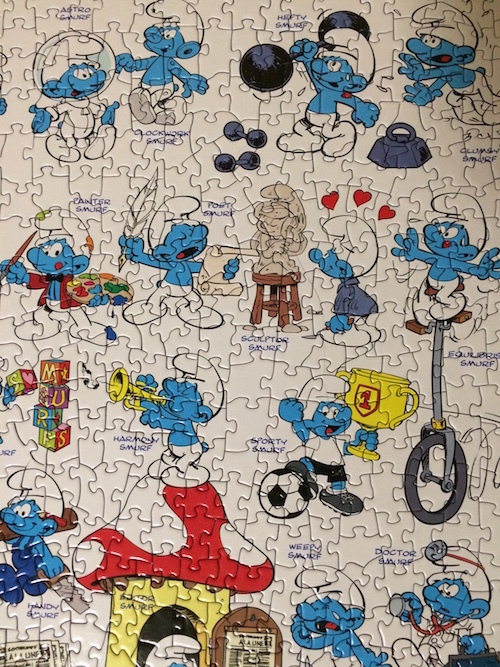 The following images share nice closeups to see the random cut pieces, the crisp and colorful characters and even the blue printing is readable. 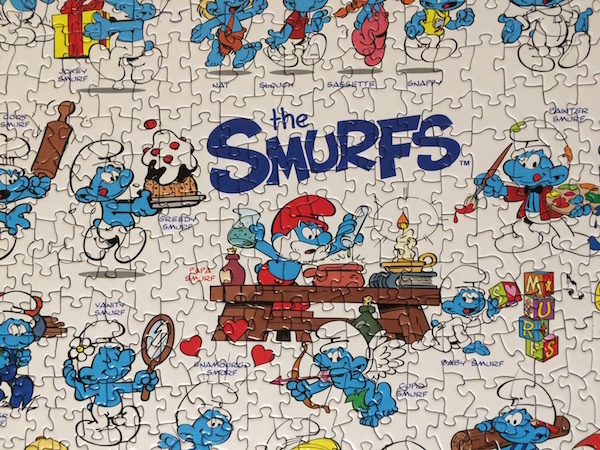 This is one of 3 jigsaw puzzles I was offered to review for the Cobble Hill Puzzle Company. 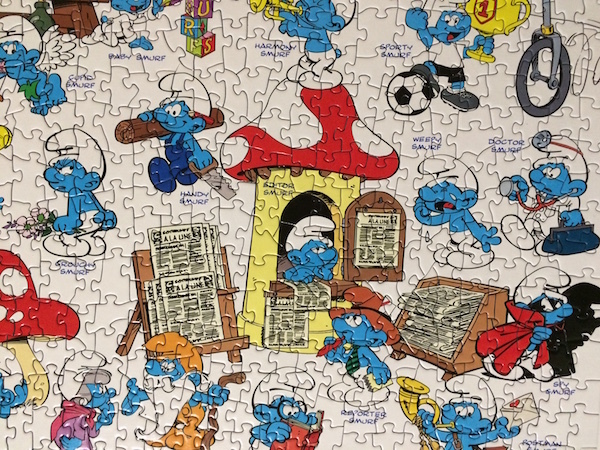 As with most of their jigsaw puzzles, I do highly recommend this one, if not for the extra challenge then just for the image of these cute little characters. 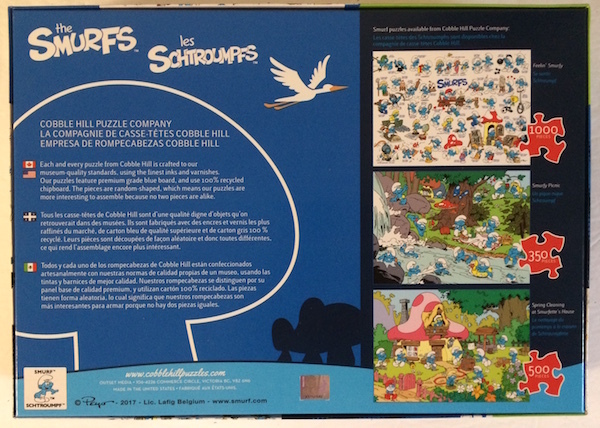 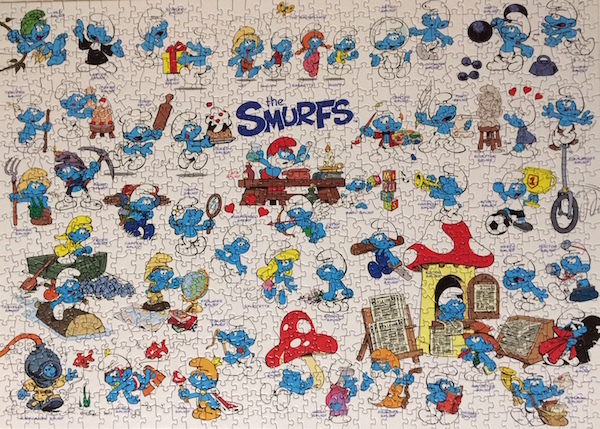 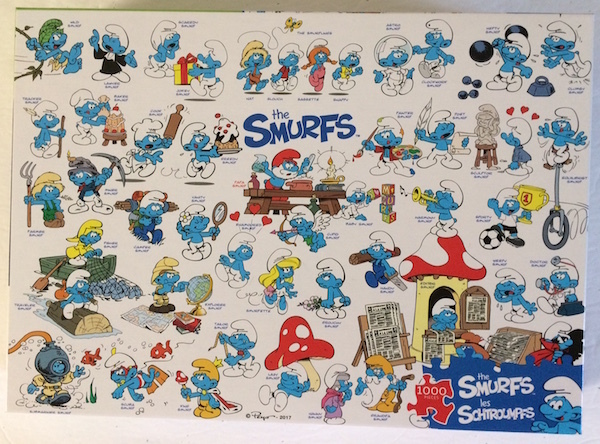 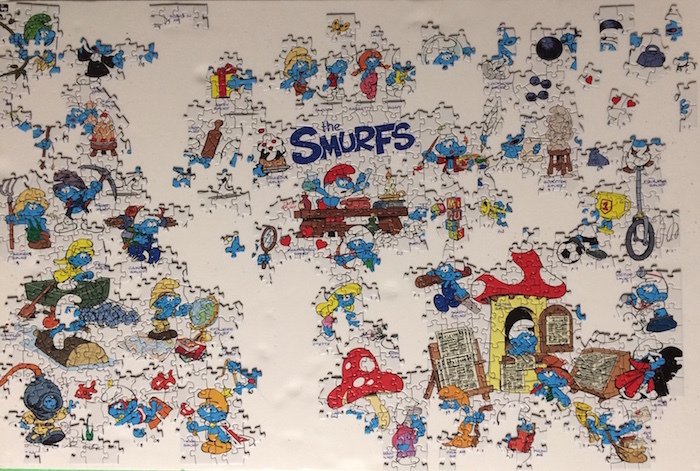 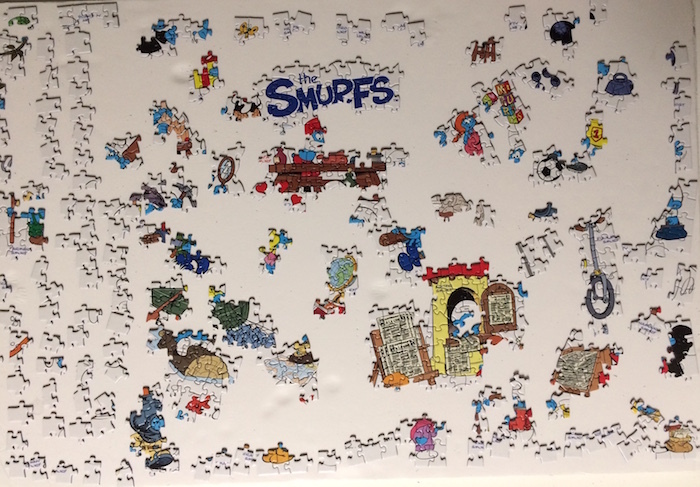 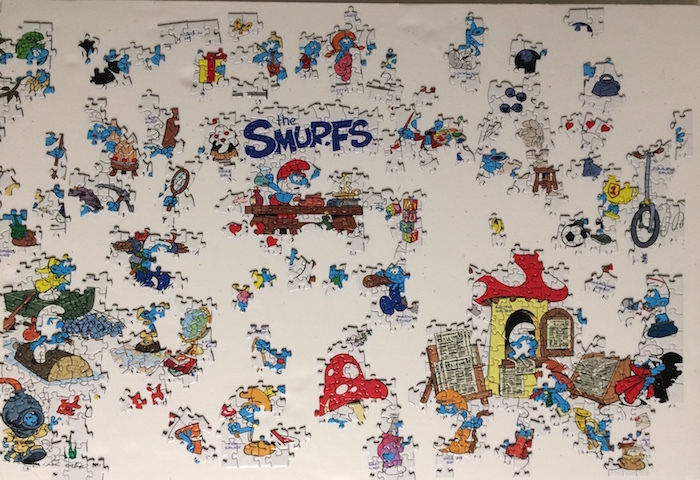 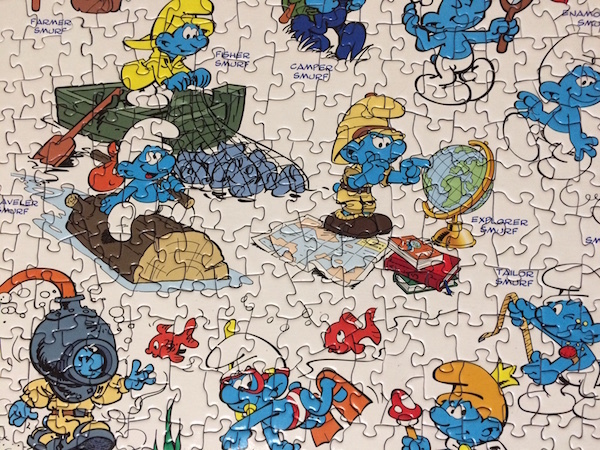 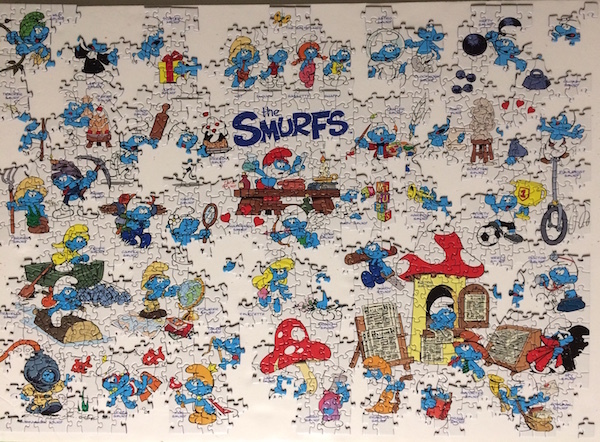 Cobble Hill Puzzle Company carries these three different Smurf jigsaw puzzles at this time.